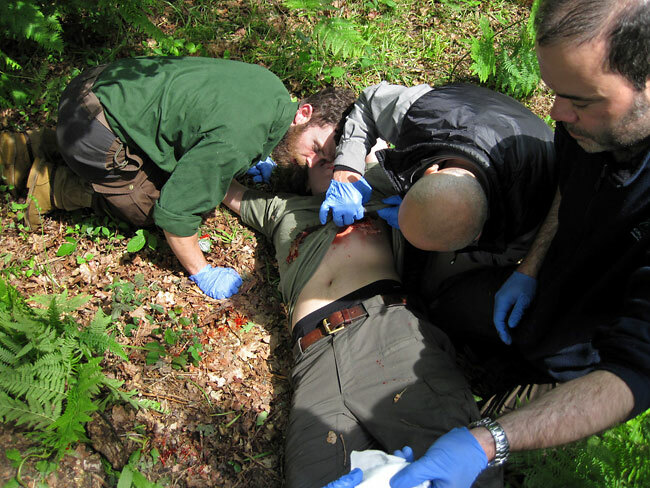 Wilderness Emergency Medic – Our most gruesome course yet? 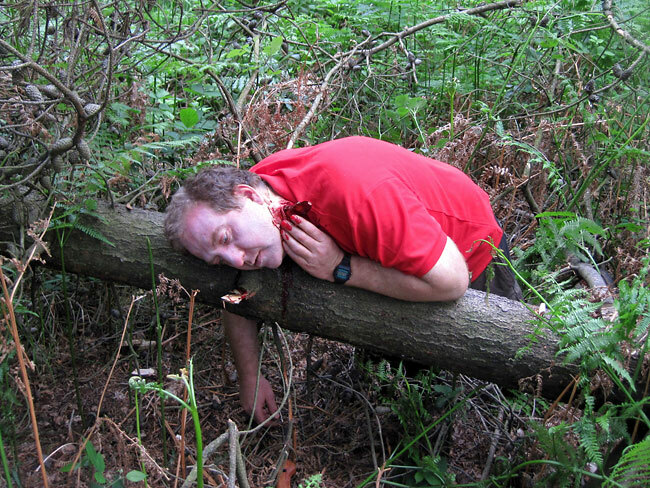 For those of you who are unaware, Woodlore has now been running a series of First Aid courses for over four years. Nowadays, a quick search online will reveal dozens, if not hundreds, of first aid training providers. But what makes a Woodlore First Aid course so special is that we gear them specifically for those of you who spend time in the outdoors. What’s more, each course revolves around highly realistic scenarios, aimed to really put your learning to the test. So if you work in the outdoors, go camping alone or with friends, or are planning a more serious expedition, then the Wilderness Emergency Medic (WEM) range of courses that Woodlore run will provide you with first aid training that could prove vital in the field. This year’s WEM2 course went off with a bang in more ways than one. The reality of the scenarios offered was stunning and all those who attended benefitted hugely from the challenges presented in this truly thrilling and essential course. Special mentions go out to Jamie Cooke for his fast-paced and in-depth teaching and to Sarah Day for her superb makeup and acting skills! If you’re interested in attending one of our first aid courses, get in touch and you’ll be the first to know when our future dates are released. 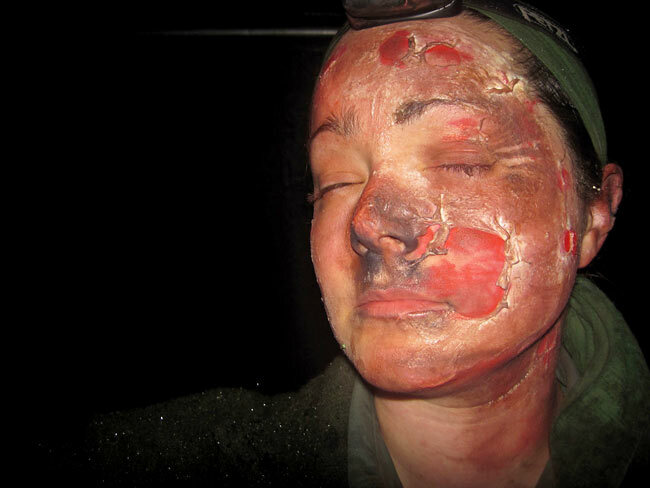 This entry was posted in Bushcraft Courses & Expeditions, The Woodlore Team on July 17, 2012 by Woodlore Team. Very authentic, just like real life. Ex-R.A.M.C. An excellent course – highly recommended. I learnt so much over the week.. and without passing out during the ever so realistic scenarios. However, not only did I personally obtain valuable wilderness first aid skills but also a number of tips and guidance on other aspects of wilderness skills, both from the ever so experianced Woodlore instructors and even my course team members. A big thank you to all and I look forward to attending other Woodlore coures in the future. Ta. Oh how I’d love to buy this on DVD… I currently don’t have the ability to travel but this looks so interesting! I was on this course and can testify that it was brilliant. 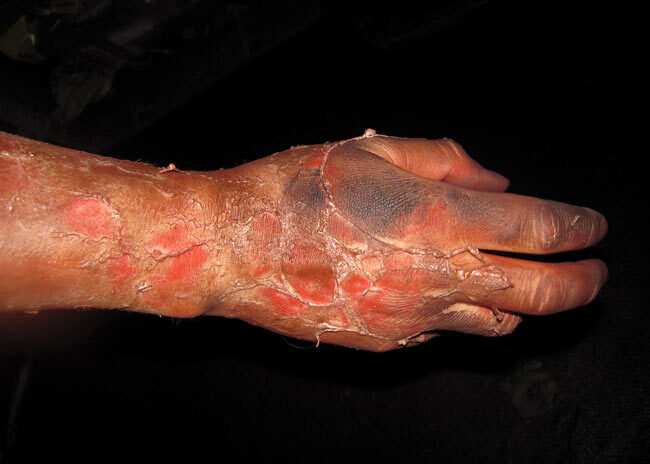 The pratical application of the first aid training was conducted in very real scenarios. Most were gruesome, some tested your patience and others were just plain scary! But I have learnt the most useful skill there is: how to save a life. Do this course! That’s much more impressive than the first aid at work I did, where every one just talked about nasty paper cuts and a sprained ankle after tripping over the waste paper bin! I just wish that this was made into a TV Series, please Mr Mears.